When cartilage, bone, connective tissue and skin are affected during a nasal surgery, it is necessary for each touch to heal and to heal, to see the definite result. 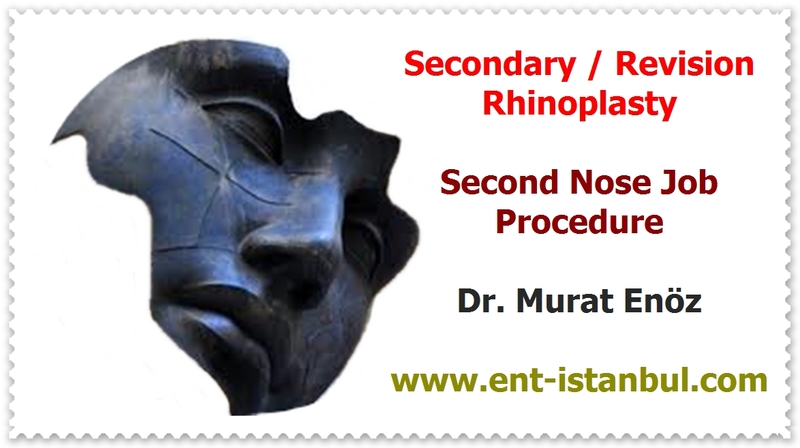 In fact, it is necessary to wait close to 1.5 years for the definitive result of nasal aesthetic surgery. Approximately 80% of the existing payments go in the first 2 months, while 95% of the first 6 months pay out. These healing rates may vary in revision nose surgery, thick skin nose surgery, and individual healing rates may vary. 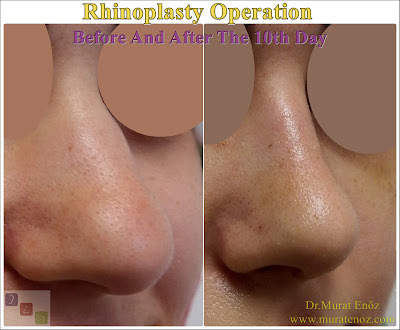 ​In the above photograph, the patient who underwent open technique nose aesthetic surgery has an image of the third week after the operation. It appears that the incision area at the tip of the nose is almost invisible and the swellingon the nose continues. After the first 2 months after the swelling between the eyebrows was evident, the fall in the nose belt was apparent. Patients who have undergone a nasal aesthetic operation should be patient at these times and care should be given by their doctors. Likewise, it is natural for patients with pre-operative asymmetry to have more edema and pain on the intervening side after non-proportional interventions (such as over-riding on one side) during the operation. Most asymmetrical outlooks come with a reduction in pay. Patients wishing to perform a rhinoplasty operation need to know that this operation is not similar to the interventions in a simple photography program, and that it must be expected for months to come out.